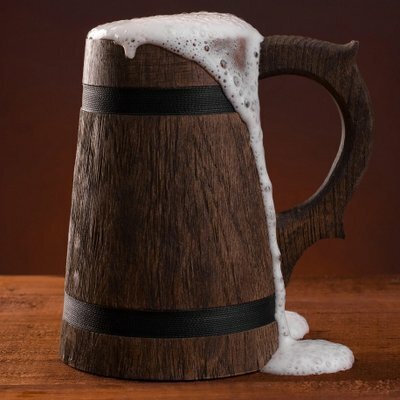 “One for sorrow, two for mirth.” Tom raised his flagon of ale at the bar, smiling at his brother. “Aye, brother. Here’s to mirth.” Chris raised his as well and clumsily pressed the two together. Then they both drained their drinks by half and slammed them down on the counter before them. Chris broke from the clinch and patted Tom on both shoulders. “I must admit the same. Life just isn’t as much fun when you’re not with me. Whoa.” The large blond had to grab the edge of the bar to keep from teetering off his stool. “Had one ale too many, eh, brother?” Tom took another drink, but just a sip. “Not at all, Tom. The stool must be faulty. Here. Another toast. To family.” He again lifted his flagon. “You two ready for a refill?” The young barkeeper with the strange tattoo on her forearm shook her dark head in apparent disdain. “What say you, brother?” Chris clutched the flagon’s handle. “We’ll pass. Thanks, Tessa.” Chris flashed a smile but she either didn’t notice or didn’t care. Tom stumbled off of his stool, spreading his black mane upon his face. He drew a dagger and swiped the hair back with the blade. Grinning, Chris uttered, “Concede? Never. Let’s have at it once again.” Both men took a fighting stance but never got the chance to engage. “Less fight. More ale.” Mark lumbered into the saloon and placed massive hands on both men. “What do you want, you abysmal hulk?” Chris remained a defiant drunk, while Tom grew pale at the memory of his last beating by the behemoth. I wrote this for the First Line Friday hosted at Mindlovemisery’s Menagerie. The idea is to take the posted sentence and use it at the beginning of a poem, short story, or other creative work. I watched Thor: Ragnarok (2017) for the first time last night and it was a fun ride (with a few exceptions). I decided to use the cast of the film in my story without (hopefully) being too explicit. In my wee tale, I used the first names of the actors rather than their character names. See if you can figure out who is who. Loved it from the second line! Good story! I liked this one. Fun dialogue.